String Theory: San Francisco songcrafter John Vanderslice is living his string-laden dream. At 43, John Vanderslice has finally found what he’s been missing: strings. The singer/songwriter grew up listening to classical music and developed a love for the violin. He also took vocal lessons for five years. “My teacher was heavy into Barber, Schubert—you can’t help but be changed by it,” Vanderslice says. But in his teens, rock bands like Led Zeppelin and the Beatles were what he and his friends listened to. “For me, [classical music] was a private thing, because no one else cared. When I finally met other people into it, things just started to click. 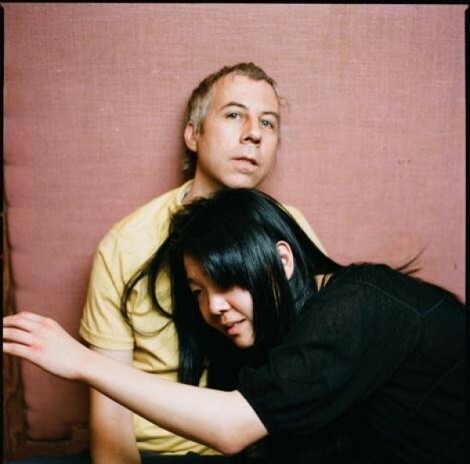 It happened recently—in the past two years,” Vanderslice says, referring to his recent collaboration with Minna Choi and Magik*Magik Orchestra on the 2011 release White Wilderness. He waited a long time to come out of the classical closet, especially since the experimental pop-rock musician is somewhat of an indie legend. Based in San Francisco, where his recording studio, Tiny Telephone, is located, he’s produced and recorded acts like Death Cab for Cutie, Spoon and Band of Horses, among others. Now his little studio is gaining an addition to create an affordable space for up-and-coming acts. Remodeling is making things hectic, but Vanderslice is used to multi-tasking—be it recording, touring, taking photographs or listening to classical music. Through their collaboration, Vanderslice has become close to composer Choi, whom he met through unusual circumstances. After moving from New York City, the goal-driven Choi sent him an e-mail, stating she wanted her orchestra to be his house band. He receives a lot of e-mails from studio musicians, but this one was different. White Wilderness has the feel of a movie score. And the subject matter diverges from the not-so-subtle political undertones of his oeuvre since the late ’90s. Almost every song is autobiographical. Because the average orchestral string player is much more intensely schooled than almost anyone in rock, Vanderslice says he was continually humbled during the three-day whirlwind of recording at Tiny Telephone. But he’s a versatile player himself, and he’s figuring out how to make the elaborate arrangements on White Wilderness work live, although without his beloved strings. Monday, April 25, 8 p.m.
Tuesday, April 26, 7 p.m.